Egypt: Protest Movement Continues; Government Projects 'Business As Usual' : The Two-Way The crisis is now in its third week. Thousands of anti government supporters gathered again today in Cairo's Tahrir Square. — NPR's Eric Westervelt reported on Morning Edition that while there are "no signs the [protest] movement is weakening," the government of President Hosni Mubarak is trying to project an image of "business as usual" and some Egyptians are hoping that things do ratchet down as talks continue between the government and opposition groups about a way forward. — Al-Jazeera, focusing on the scene in Cairo's Tahrir Square, says that "protesters in the Egyptian capital are holding mass demonstrations, with a new wave of optimism reaching the pro-democracy camp following the release of the detained cyber activist, Wael Ghonim. 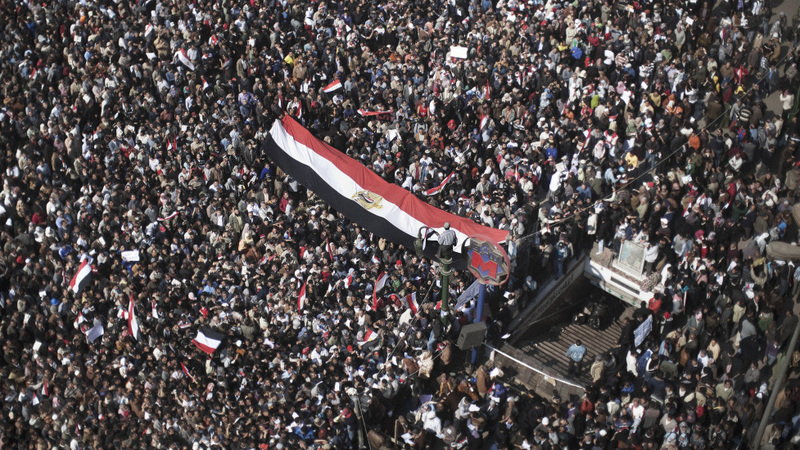 As demonstrations seeking an immediate end to Hosni Mubarak's rule enter their 15th day, protesters ... are refusing to leave until their demands are met." Egyptian President Hosni Mubarak, during a meeting with Emirates Foreign Minister Sheikh Abdullah Bin Zayed al-Nahayan in Cairo on Tuesday (Feb. 8, 2011). 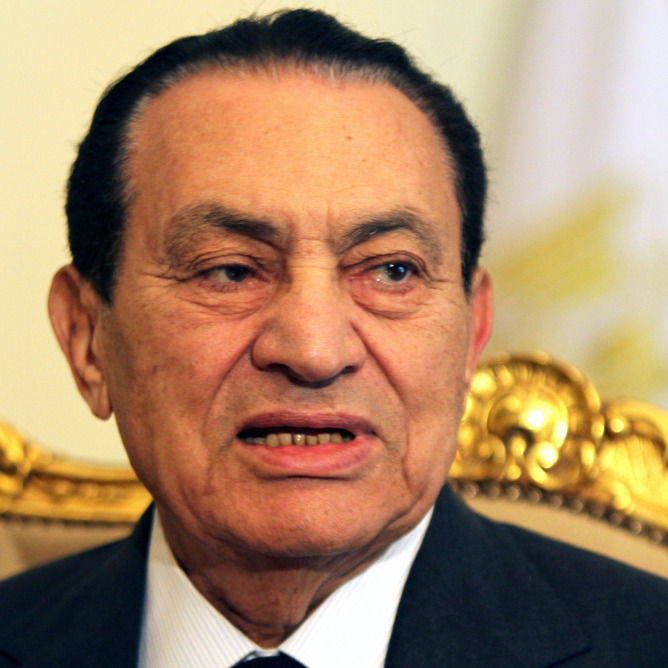 — Meanwhile, the Associated Press writes that Mubarak "set up a committee Tuesday to recommend constitutional amendments to relax presidential eligibility rules and impose term limits — seeking to meet longtime popular demands as a standoff with protesters seeking his ouster enters its third week." — But even as word of that committee emerges, Germany's Der Spiegel says "exploratory talks are already underway about a possible stay by Mubarak in Germany. The scenario is certainly attractive: Egypt would get rid of its unpopular president, and Mubarak could make a dignified departure." It reports that the Egyptian leader might travel to the Max Grundig Clinic in southwestern Germany for "medical treatment."